It is completely ridiculous. As a cat owner I have to weigh the benefits of a warm, affectionate, purring furball in my lap against having an open box of poo in my house. And like most cat owners, I let the litter box go until Downy and Astro are having an Octagon-battle over the final grain of litter. 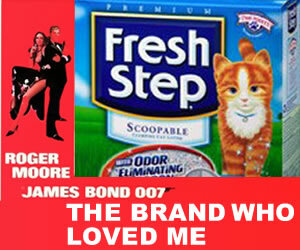 We’ve tried several brands of cat litter and the only one that really works well is Fresh Step Cat Litter. We’ve tried at least 8 other brands – some as experiments, others in a late night desperation to just go get that cheap litter they have down at the store that never actually does the full job. You’d think Arm & Hammer would have been the best since they theoretically have decades of deodorizing technology to draw upon. But nope: Fresh Step is where it is at. We can get a good 3-4 weeks out of one box – provided we clean out the soiled litter every 10 days or so. The scent of the litter isn’t trying to mask the ammonia of the cats but it doesn’t shrink at trying to contain the potential stench of 2 cats that get to eat soft food way more often than they should (Ron is weak-willed when mammals stare him down). I’m kinduva gym rat. It is my rebellion against a childhood of allergy-induced indoors academics (if we’d had Claritin back then, everything would have been different). I still sneeze but I don’t scratch my legs until I bleed like I used to. Part of being a fitness buff is the world of supplements. It is a bit like a makeup counter – everything is in bright shiny packages and covered in words like BIGGER! STRONGER! HARDER! LONGER-LASTING! STIFFER! Okay I made that part up. It really didn’t say STIFFER. That’s the Enzyte commercial with the woman who over-blinks her eyes. But the one product I have allegiance to is NO-XPLODE from BSN. It comes in a fire-engine red canister and the fruit punch flavor causes my palette to wake up in the morning with a slight choke and burp before I get to the gym. But I have to admit my weakness for this brand stems from yes the feeling I get drinking it but also the fantastic photography and models they attach to the products. This is Julien Greaux. He’s a martial arts expert but s mostly on fitness modeling and his physique is on the Top Ten List of Guys I’d Like to Look Like (along with Jason Statham, Daniel Craig, Ryan Reynolds, Greg Plitt and pretty much any guy my buddy Pat Lee has photographed). If Julien Greaux uses NO-XPLODE then maybe it will help me. It is juvenile and weak but it is marketing and it works. Let’s see one more brand I love… Well let’s try one I don’t love anymore. 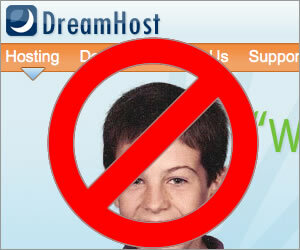 I used to LOVE LOVE LOVE Dreamhost. Recommended them to hundreds of people for their web hosting needs. They were my webhost for over ten years. They were always quick on support and their control panel backend helped me do things myself so I could stay out of their way. Then there were hiccups in service. Then I was part of a hacking that added all sorts of delightul phrases alluding to The Love that Dare Not Bark It’s Name or other fetish lowlights. But the worst part about it for me is the company had a very glib sensibility during any outages. I’m all for levity – AFTER the problem has been solved. Then they had a collossal billing screw up that was met with the same cavalier attitude. The brand allegiance I had has vaporized. I’ve got a few sites still lingering on Dreamhost but I’ve since moved over to MediaTemple. So far they’ve been pretty good. What brands do you have allegiance to? This entry was posted in General on April 15, 2009 by Andy Wibbels.